Uttaranchal now Uttarakhand became the 27th state of the Republic of India in November 2000. Carved out of the state of Uttar Pradesh, Uttaranchal mainly comprises the hilly regions of Uttar Pradesh. The state borders Himachal Pradesh in the north-west and Uttar Pradesh in the South, and has international borders with Nepal and China. Uttarakhand is also well known as the birthplace of the Chipko environmental movement and a myriad other social movements including the mass agitation in the 1990s that led to its formation. Most of the northern parts of the state are part of Greater Himalaya ranges, covered by the high Himalayan peaks and glaciers, while the lower foothills were densely forested till denuded by the British log merchants and later, after independence, by forest contractors. Recent efforts in reforestation, however, have been successful in restoring the situation to some extent. The unique Himalayan ecosystem plays host to a large number of animals (including bharal, snow leopards, leopards and tigers), plants and rare herbs. Two of India’s mightiest rivers, the Ganges and the Yamuna take birth in the glaciers of Uttarakhand, and are fed by myriad lakes, glacial melts and streams in the region. The state is frequently denoted as the Dev Bhumi or Land of God because it houses various religious places and places of worships that are regarded as the most sacred and propitious areas of devotion and pilgrimage. Uttarakhand was created by joining a number of districts from the northwestern part of Uttar Pradesh and a portion of the Himalayan Mountain Range. At present, it is the 27th state of the country. The state is mostly famous for its scenic features and affluence of the Himalayas, the Terai and the Bhabhar. The autonomous territory of Tibet is situated to the north of the state. 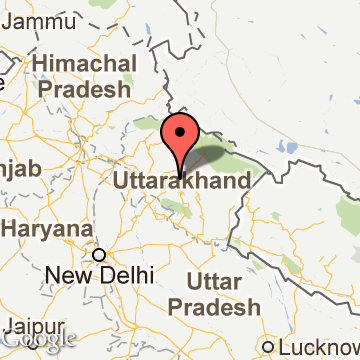 The name of the state was formally altered from Uttaranchal to Uttarakhand in 2007. 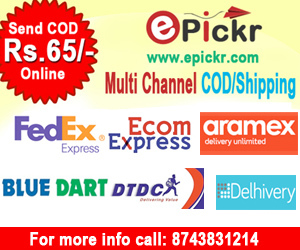 Dehradun serves as the provisional capital of the state and it is also the biggest city in the state. The High Court of Uttarakhand is based in Nainital, another important city in the state. Handicrafts and handlooms are two major industries in the state. The state is also famous for being the origin of the Chipko Movement or Chipko Andolan. On the 8th of November 2000, it became a full-fledged state of India with the formal induction of a separate State Government. The State is carved out of the Uttar Pradesh, which has the largest population in India. With this, the people of Uttarakhand have finally achieved their dream of running their own affairs for which they have been fighting for some decades now. Uttarakhand is the beautiful place for tourist to visit. Uttarakhand is well known for various adventures activities, festivals, its beauty, culture, peaceful environment. Uttarakhand is also called Dev Bhumi.Uttarakhand is famous for char dham Kedarnath, Badrinath, Gangotri, Yamunotri which makes the Uttarakhand distinguish as compare to other states. People visit Uttarakhand from all over the world to feel its natural beauty,mountain ,fresh water, fresh air, snowfall and natural fauna. Uttarakhand is paradise for hill lover’s .Uttarakhand is the home of mountain “Queen Of Hill “Mussorie and Chowkhamba is here . Rajaji National Park, Assan Barrage, Chilla all located in capital of Uttarakhand. Jim Corbat National Park and beautiful lake Bhimtal, Sattal, Naukuchital which all are located in nainital so nainital is called Lake District and auli is the place which full-fill the dream of skiing and Chopta, Munsyari, Dayara Bugyal all are trekking place, for river rafting Rishikesh , Shiv Puri and Kaliasaur is famous point .